What is happening to Badger Tenkara? are emptying their entire inventory. I looked online and they only offer the replacement parts. Does anyone know what’s going on? I’m sorry to see them stop selling tenkara supplies/equipment. Thanks for any information that could shed a light on what happened. Badger Tenkara Fish More - Fuss Less! Tenkara Rods Copyright © Badger Tenkara 2018. No images, video, graphics, or text may be reproduced without express permission of Badger Tenkara LLC. When we first encountered tenkara rods, Mike and I were instantly enthralled. We took every chance we could to push the limits of what we could do on our local waters and species. It wasn’t long until we decided we wanted to share the fun with others, and after not too long we started Badger Tenkara with the intent of making tenkara rod fishing accessible and welcoming for as many people as we could. Just like the currents in a stream, life and business can get complicated. Time passes, things change, and suddenly you find that what was working for you…is no longer working for you. This the case with the Badger store and our product line of tenkara rods. Changes in both the “tenkara market” and in my personal life have led me to the tough conclusion that it is time to bring this project to an end. We are grateful for your business, the trust you put in us and our gear, and for being blessed with the ability to walk this path of discovery and exploration with so many. It was truly joyful to share so many of your “first catches” and other great experiences on the water with you all. ​It’s been a little over 5 years since Badger released our first rod. Along the way we’ve had the privilege to help thousands of anglers get started on an exciting new hobby. We’ve spoken at clubs, schools, and fishing shows - and we’ve given instruction on the water, over the phone, and by video. Our customers (and our rods) have caught fish on the Nile and Amazon rivers, and on every continent except Antarctica! Perhaps most importantly, we’ve put a lot of time and energy into getting rods into the hands of young anglers and the organizations that serve them. We feel confident that we have met our goals in expanding appreciation of tenkara rods in the outdoors community. Well that stinks, I haven’t fished a badger rod but have looked at them seriously. Sorry to see them go. Thank you Nick for sending info. about Badger Tenkara. "While the shop is closing, Badger Tenkara is not going to disappear. 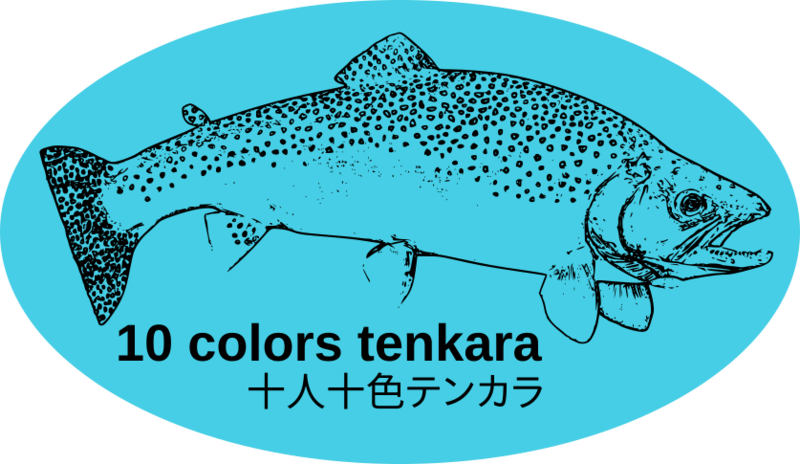 The website will remain and will soon begin an entirely new kind of tenkara rod fishing adventure! " It was a dark and stormy night…The plot thickens. I retired after 38 years in the computer industry. When margins on hardware plummeted the giant US mfgs that were able to keep their doors open moved much or all of their production offshore. When margins continued to drop they turned to services; with some dropping their mfg lob altogether. I haven’t fished or been able to handle a Badger but it’s obvious that there were a lot of satisfied Customers. That comes from dedication and hard work. I hope Matt is able to stay in the industry he’s contibuted so much to and will prosper by finding innovative ways to help Customers thoroughly enjoy a truly fun activity.